Hand stitched, bought in the States in 1977. Excellent condition. Steelbeld@plybeld conveyor beld for sale. Bates old type GP saddle for sale. Fully fitted. With a numnah and two girths. 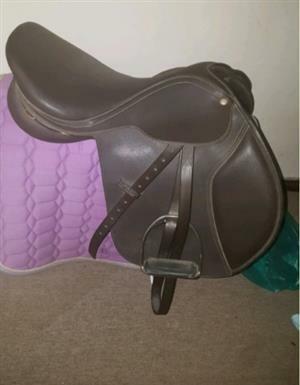 Well looked after Black Voortrekker Saddle for sale! Nearest offers are welcome! Contact today for this special price! 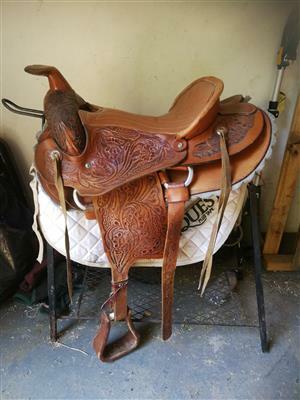 Very comfortable western saddle for sale. Good condition. Pls contact for more details. Whatsapp or SMS Nicole - 0833256879. Get an email notification for any Results in Horse Accessories and Feed in Mpumalanga when they become available.